There is a new album coming soon! I really wanted the photos to reflect the music - clean, pure and direct! No filters, no heavy makeup, just me. Photo: @studiohoederath @dgclassics . You're very beautiful when it's just you. I love Mari, your music like me so much. From 🇨🇴 Colombia a kiss. This is just perfect ❤️❤️❤️❤️❤️ Well captured photo.. Perfect violinist , beautiful woman !! Mari!!! Can't wait to see the new album!! Waiting... and ready to update the playlist. All the best from France. Genia entre las genias !! Yes! You are stunningly beautiful! You should never use makeup or filters. Basel / Beyeler / Picasso! Wow! When ...in Mantova,to Teatro Bibiena ? Mari Samuelsen shared a post. Quite cool that shots from our music video of #Timelapse (Uno Helmersson!!) is the very end of this insane beautiful showreel from RED Digital Cinema ! Well done Jon Lindroth Sudden Light Visuals! 🙏🏻🙏🏻🙏🏻Visit RED’s DEMO ROOM at #NABShow April 8-11 and trial the #MONSTRO8K, #GEMINI5K and #RANGER8K-- Room N201 located in the NORTH HALL at the Las Vegas Convention Center. Dear Mari, go on to explain what in Fratres and A.V. Winter, Piazzola Winter in Ba.You showed me . Nah is that special awesome and special Your play.Timelapse good and I very happy that, but Fratres is open fantastic deep emotions. Anyway in up video good too, really. :-) Free the energies and feelings of Norwegian forests. 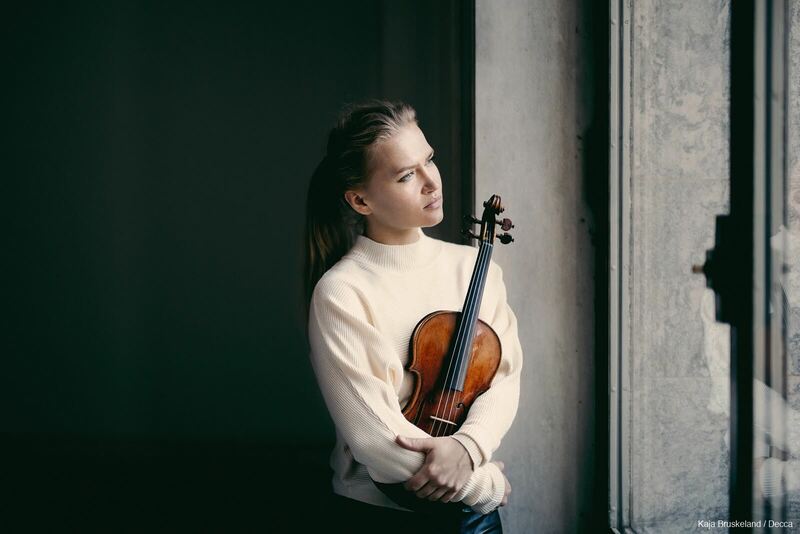 Highly acclaimed Norwegian violinist MARI SAMUELSEN has enjoyed a remarkable rise on the international concert stage through a characteristic mixture of artistry and enterprise. Her concerts combine a breathtaking musical finesse and virtuosity and an imaginative and innovative approach to presentation. For more than 25 years she has also collaborated in duo with her brother, cellist Hakon Samuelsen, performed together, connecting with audiences and musicians around the world. In spring 2015, they released their debut album, Pas de Deux, Mercury/Decca (Universal), the centrepiece of which was a new work written for them by the Oscar-winning composer, the late James Horner. It went directly to no. 1 in the Norwegian pop charts, the first classical album to do so in more than 20 years. Mari Samuelsen has appeared as soloist at some of the world’s most prestigious venues including Carnegie Hall, New York; Théâtre des Champs – Elysées, Paris; Konzerthaus, Berlin; Smetana Hall, Prague; Kremlin Hall, Moscow and the Victoria Hall, Geneva, most recently making debuts in recital at the Barbican, London and the KKL, Lucerne, with the Los Angeles Philharmonic, at the Hollywood Bowl and the opening concert of the Montreux Jazz Festival. Mari works regularly with the composer Max Richter, as the soloist, in concert performances of both his “Recomposed “and “Memoryhouse “, as well as on his recent Deutsche Grammophon album “Three Worlds – Music from Woolf Works”. She is founder and artistic director of ‘A Christmas concert from Norway’ which she started together with her brother in 2003. It’s been broadcast several years on the Norwegian BBC (NRK) and in the US through PBS, hosted by Princess Märtha Louise of Norway. Mari Samuelsen has also been artistic director of Yellow Lounge in Norway and bringing the Berlin-born club night to Oslo, collaborating with partners such as the pre-eminent video artist, Philipp Geist, keeping classical music in the mix at the forefront of contemporary art. Her latest album, Nordic Noir, released on Decca in September 2017, went again straight to top of Norwegian pop chart (2nd place). Her upcoming and ongoing collaborations with leading composers of today, as well as electronic music artists such as Jeff Mills and Dubfire, puts Mari Samuelsen in a position as an artist who is thriving and new thinking, being innovative and reaching out to new audiences. Mari Samuelsen plays the ‘Duke of Edinburgh’ Stradivarius 1724, generously on loan from Florian Leonhard Fine Violins, London. Universal Music Norway is part of Universal Music Group. © Copyright 2018 Universal Music Group. All Rights Reserved.